L’Eroica is a ‘vintage’ Gran Fondo, run on the dirt roads of the Chianti region in Tuscany. On this tour we’ll preface Chianti with a fully Tuscan experience, starting with four days in a Villa outside Pistoia. From here we’ll ride all the way south to Chianti, with a two day stopover near the Tuscan coast. 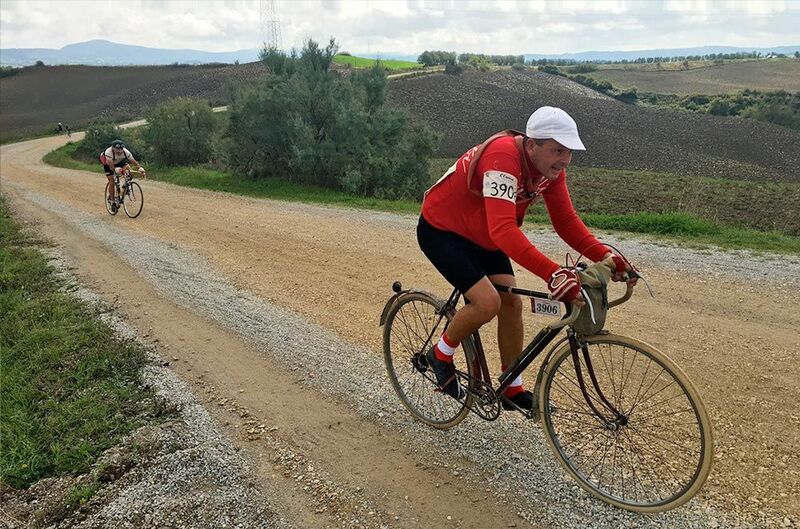 On the final day we’ll be riding L’Eroica with many others, past pencil pines, vines and many an olive tree. It’ll be hard, rewarding and eccentric, so don’t miss it. Grab your ol’ pre ‘87 steely and come along. Excellent accomms, cuisine, and unique rides, guaranteed. 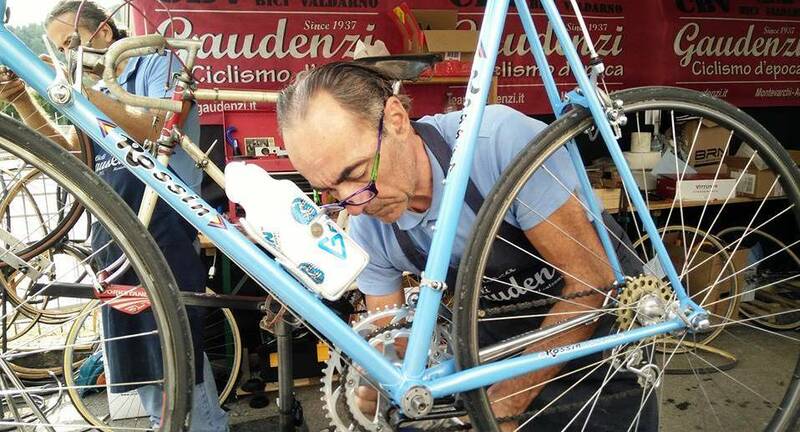 NB: You may be able to hire an old steely for L’Eroica, we have a few. Please contact us to help facilitate. 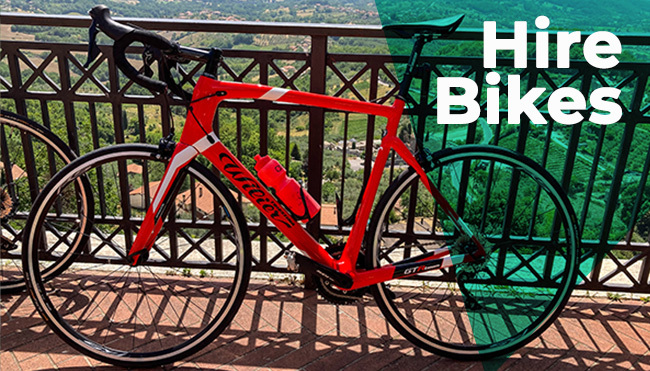 Or a full carbon bike for the other rides, or both! Rides will average 60-100k along with >1000m vertical, per day. Our Tuscan tour will commence with an 11am pick up at Florence railway station. From here it’s just a short transit to our accommodation. The first four nights we’ll spend in a renovated ‘villa of charm’, located 4 km from the town centre of Pistoia. After lunch, and bike set-up, we will have a lazy afternoon rolling the jetlag out of our legs, covering around 50 ks in the surrounding rolling hills. Highlights: Our route taking us through the towns of Monsummano and Serravalle. The highlights being the medieval Serravalle, and taking a coffee at the bar ‘Umberto, the King of Capuccino’ in Monsummano. Others may choose to laze under an olive tree by the pool, or explore the grounds of the Villa. Renovated historic Villa, with gardens. Terrain: 3 climbs, two of which are used in the Pro race, GP Larciano. Highlights: Medieval town of San Marcello, ride through forested mountains, with lunch at Montecatini Alto. Terrain: climbing & descending all day, not much flat. Up into the hills again, riding out of Tuscany into Emilia Romagna. After leaving the hotel, we’ve approx 5k of flattish riding to warm up, before it’s UP for the next 15k, albeit gently. 700m ascent in 14k, puts it at an average of 5%. We’ll journey through Il Signorino, Ponte della Venturina, Granaglione and Pracchia. NB It’s important to mention, there’s an alternate ‘soft’ route home, following the river road down the valley. Recently built luxury Villa, with golf, gardens and pool. Highlights: Viewing the Mar Tirreno from the top of Monte Serra. Picnic & ride on Le Mura (the old earthern wall) at Lucca. Leaving the plains behind, we’ll be heading south-east into the heart of the ‘shorter’ rolling hills of Tuscany. Hopefully we’ll be riding past some of the ‘Tuscan Calendar’ shots, that have adorned your walls, for the year(s) after your in-laws have ventured to Europe. Once we arrive in Gaiole you’ll really start to appreciate it all. We’ll be staying in San Regolo in Chianti, a little out of Gaiole, with the basic services on our doorstep. We have almost an ‘inhouse’ Alimentari/Bar/Café with an excellent ristorante within walking distance. Not to mention the fantastic rides. 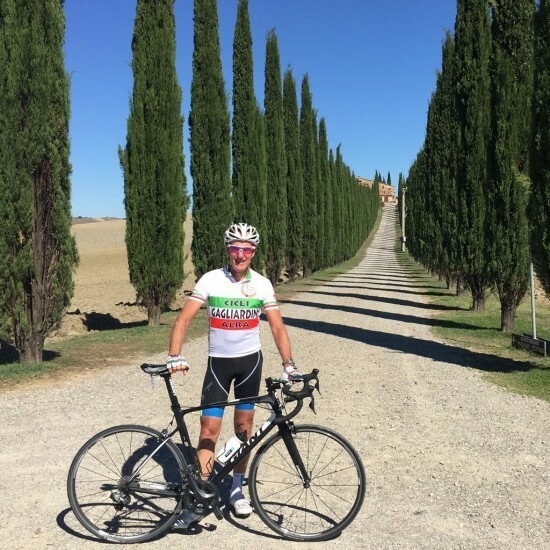 Highlights: True Tuscan terrain, lunch at the medieval hilltop town Poggibonsi. Dinner at a local ristorante tonight, walking distance. Terrain: 10k gentle climb to start, 15k descent, 10k flat, followed by a gentler 20k climb ascent all the way into San Regolo in Chianti. 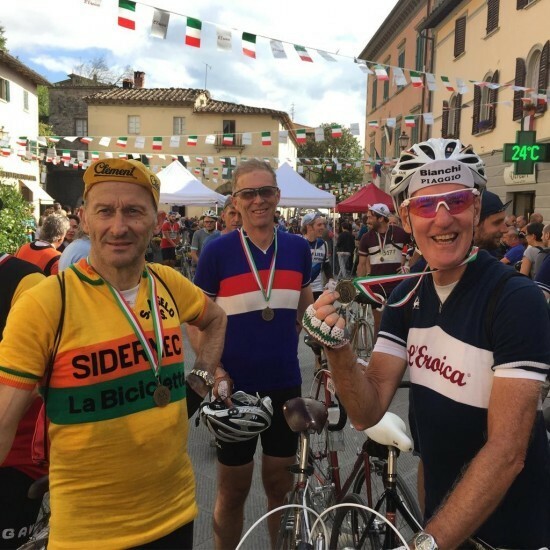 All the fun of L’Eroica today, without the crowds. 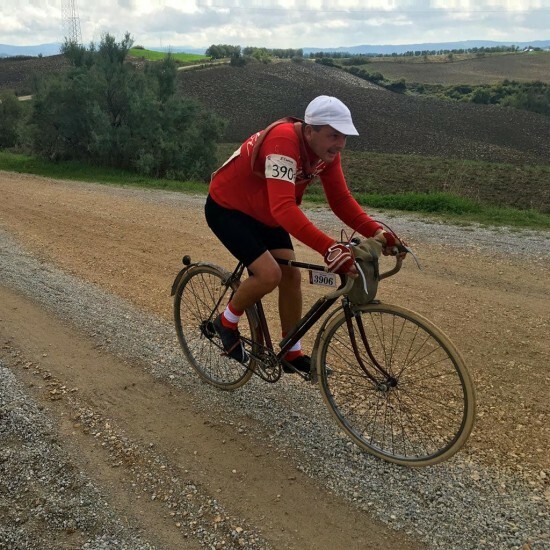 We’ll do an 80k loop, and as the l’Eroica ride route passes through the middle of San Regolo, it’s fairly easy to find the course. From here we follow the L’Eroica signs, taking in many sections of dirt road, as we loop around back to our final destination. While it’s not ‘off the beaten track’ you will be off the bitumen. 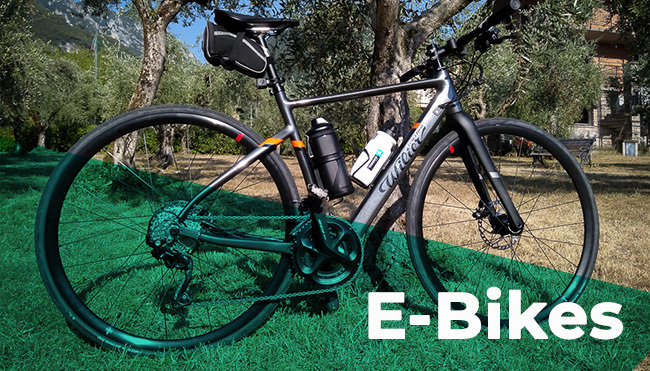 So you’ll be seeing many Tuscan views that few get to see, just because you’re riding your bicycle, not touring by car or bus. Registration and course reccy for tomorrow’s Eroica is all we have to do today. 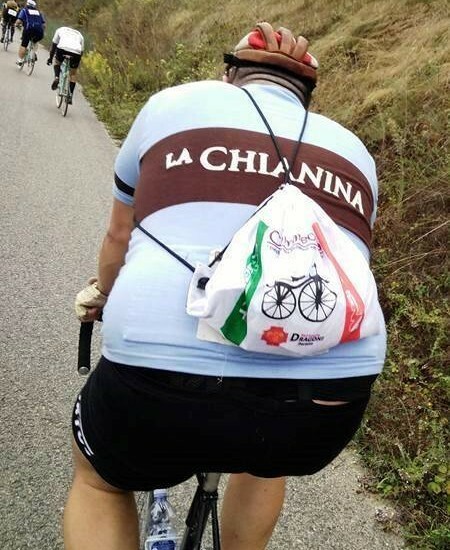 Along with a little carbo loading, probably an aperitif as the Tuscan sun sets, etc. All in all, a fairly easy day. Not forgetting of course the retro bike market that spreads all over, and fills Gaiole. If you need to pick a part up at late notice, there’s no better place. 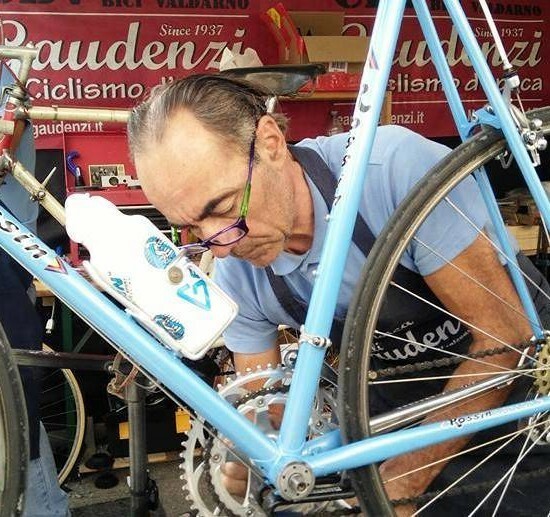 You can even pick up a classic here, be it Bianchi, Colnago, Tomassini, Wilier, Fondriest or something else? In fact you’ll have a huge choice. 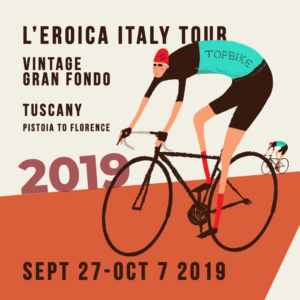 Sunday Oct 6: Day 10 | L'Eroica Gran Fondo! Today it all changes. 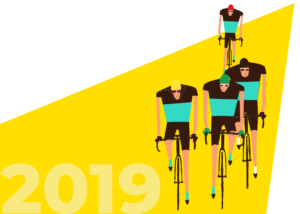 It’ll be an early start for those riding the bigger routes, the rest of us can take a more leisurely approach, kicking off between 8-10.00am, genuine ‘pro’ hours. You may choose from 46k, 75k, 135k and 209km courses. 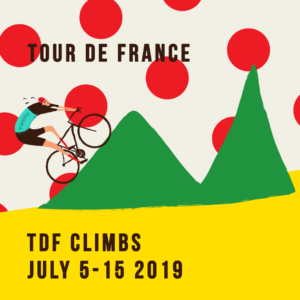 Lots of dirt sections, or ‘bianche strade’ and lots of dust, broken up by the best food stops available in any granfondo. 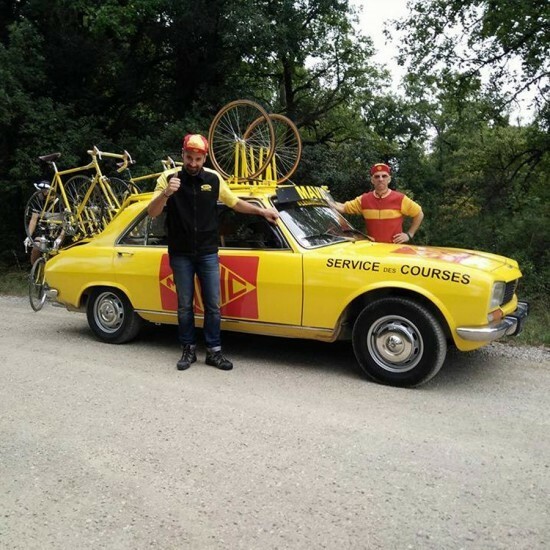 It is expected you will be sympathetic to the overall ambience of the event, choosing to ride a pre-1987 bike, with down-tube shifters, toe straps and exposed cables. Woollen jerseys will complete the picture. Terrain: Varying amounts of ascent. All spectacular. Pack up day. Time to pack our gear and bikes, and get on our way to our next destinations. Drop off point will be central Florence Rail Station Santa Maria Novella. 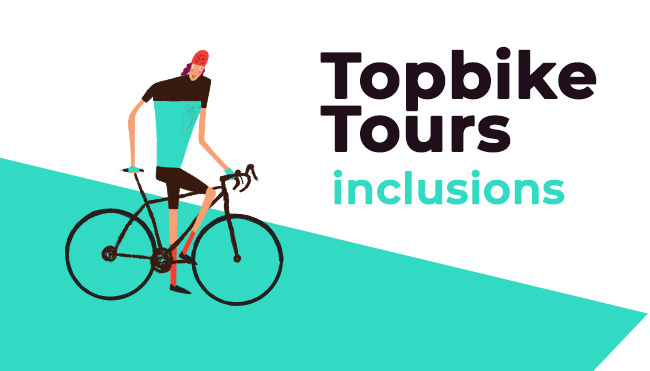 NB: The itinerary above is to be used as a guide only, as Topbike Tours are well known for making use of all (and creating some extra) opportunities, expect that variations from the above can happen at any time. Please note all distances are approx and subject to change.